Since Husker Du almost never put band pictures on its album covers, and the record label’s publicity photos neglected to identify the individual members, my Eighties self spent some time poring over the occasional publicity shots, wondering which member of the trio was the guitarist producing that awe-inspiring racket. That Eighties self concluded it was probably not that guy with the handlebar ‘stache. Something about him said “drummer.” It must be that intense-looking guy with the long, wavy hair. Yep, he definitely fit my preconceptions of how a godlike guitarist should look. Certainly not that doughy little schlub off to the side — he had “bass player” written all over him. Not him. No siree. I quickly learned how wrong I was, and when I got my first and only look at Husker Du in person — Livingston Gym, Piscataway, concert tinnitus for miles — I watched Mould at work and had my epiphany. The sincerity police have always had it wrong: rock and roll was never about who you really were, but who you really wanted to be. And pudgy, sweaty Bob Mould, slashing away at a Flying-V guitar that would have looked more appropriate in the hands of some poofy-haired glitter rocker, was the principle made flesh. With that ax in his hands, he was a monster. According to his bandmates, Mould was also a monster when he wasn’t holding a guitar, which was part of the reason Husker Du fissioned in 1988, leaving behind the kind of catalogue that can only be achieved by inspired workaholics. And in the quarter-century since the breakup, as Husker Du’s influence has been certified by an army of noisy progeny, Mould has gone solo, done a stint as leader of the short-lived band Sugar, dabbled in electronica, certified himself as a gay man of the bear variety, buffed up in a serious way, and resumed touring as a solo performer. But odds are that the people who want to read his new memoir See a Little Light: The Trail of Rage and Melody do so because of that string of albums, EPs, and concerts that were the loudest, most definitive “no” to Reaganism the Eighties had to offer apart from Bruce Springsteen. Count me among them. Though I think Mould’s work with Sugar is undervalued — if I had to choose, I’d keep Beaster over Mould’s share of the songs on Warehouse: Songs and Stories — none of it offers the creative high-wire act that makes New Day Rising, portions of Zen Arcade and later Copper Blue fresh and exciting after two decades. And very little of his solo work plays to his strengths, aside from a song here and there. In the beginning, our shows had the up-surf and elemental punk rock feel: simple, stupid lyrics that rhymed and maybe didn’t mean a lot, but were funny and punk. Then, as the months went on, another side to the band’s sound emerged, a slower, darker droning feel. A lot of that was my doing, and one huge inspiration was Joy Division’s album Unknown Pleasures. You come across only a handful of records in a lifetime that have that immediate impact, where you never forget the sound. It gets embedded in your cellular structure, and it seeps into the work you create. Joy Division’s music was sad and poetic, and I felt we needed to add those elements to the mix. I also played chiming guitar parts that were influenced by early Cure, and a warped and warbling sound inspired by Keith Levene of Public Image Ltd (PiL). Another band that inspired us was Pere Ubu. The three of us went to see them play twice in one evening at the Walker Art Center in 1979. We sat in the front row for both shows, and after the second, we walked onstage and chatted with the band. We didn’t want to sound like Pere Ubu, but they showed us how a band could have a unique sound and an unusual, less than glamorous look, and still succeed in every way that was important to us. I don’t know about you, but any band that attends a Pere Ubu concert and thinks “role model” is okay in my book. And never in a million years would I have connected Joy Division with the early Husker sound. That’s why you follow artists — they always lead you to interesting places. I thought Robert Christgau’s review in yesterday’s NYTBR was a tad harsh, but he was dead right on how Mould’s continuing anger at his old bandmates keeps him from delving into what made classic Husker Du so riveting and groundbreaking. After two discs of tyro work, the band hit its stride with the Metal Circus EP and the ambitious Zen Arcade double album, then achieved liftoff with New Day Rising, Flip Your Wig, and the underrated Candy Apple Gray. Mould’s guitar, with its torrents of molten noise, was the centerpiece of the sound, but Grant Hart’s drumming — light on its feet, emphasizing cymbals and snares over the bass pedal — pushed the songs without making them overly heavy, which would have happened with a more John Bonham-style player. Any judgments on Greg Norton’s bass playing will have to await the efforts of sonic archaeologists, or a team of ace engineers assigned to remix and extract the band’s catalogue from SST’s substandard production. But just when you might have been inclined to dismiss them as noise merchants, the Huskers delivered the other half of their one-two punch: songwriting. Both Mould and Hart were budding masters of the form, and throughout the band’s sonic assault, great lines would surface like pieces of wreckage. The menacing riff of “The Girl Who Lives on Heaven Hill” turned out to disguise one of the great oddball love songs of the Eighties, and the pounding chords of “I Apologize” accompanied a domestic drama about a couple unable to get past their anger at each other. And then there was “Celebrated Summer,” an ode to warm weather that could only have been written by a man who grew up in upstate New York and went to college in Minnesota. There are flashes of insight within Mould’s recollections of the Husker days, some of them inadvertently revealing. Reading how Mould and Hart used their privileged positions as songwriters to reduce Norton’s share of the band proceeds reminds me of the acrimony between Robbie Robertson and Levon Helm, and confirms that disputes over songwriting credits have killed more good bands than music-biz accounting. What made the initial Sugar album, Copper Blue, was that it sounded like a progression from Husker Du, rather than the denial that animated Workbook and Black Sheets of Rain, Mould’s two post-Husker works. Copper Blue and its successor, the darker and crazier Beaster, bring together more great melodies and riffs than any of his solo records before or since. Mould is far more revealing in the way he examines Sugar’s short existence, and deals himself some appropriate knocks for the weakness of the valedictory album, File Under: Easy Listening, and the subsequent breakup. Oddly enough, See a Little Light may ultimately be more interesting to people who know nothing of either Husker Du or Sugar, but want to know if there is life for gay men after fifty. For Mould, the answer is a big neon-colored yes: having evaded the ravages of HIV and gotten some money in the bank, Mould is having the best time of his life. Late in the book he acknowledges that his shift to a more personal songwriting style has reduced his mass appeal, and here I must (sadly) agree. The man deserves his peace and quiet, but it is his racket that I value most, and apparently there will no more of that except in concert when he drops some of his older songs into the mix. Good for him, but as for me, I expect that when I want to read up again on Bob Mould, I’ll turn to the third person Our Band Could Be Your Life rather than the first person See a Little Light. When Neil Young sings about having slain his demons, he sounds like a man who remembers every blow and how it felt. Bob Mould simply sounds like a man who’s happy to be rid of the whole mess. So I wrote this novel . 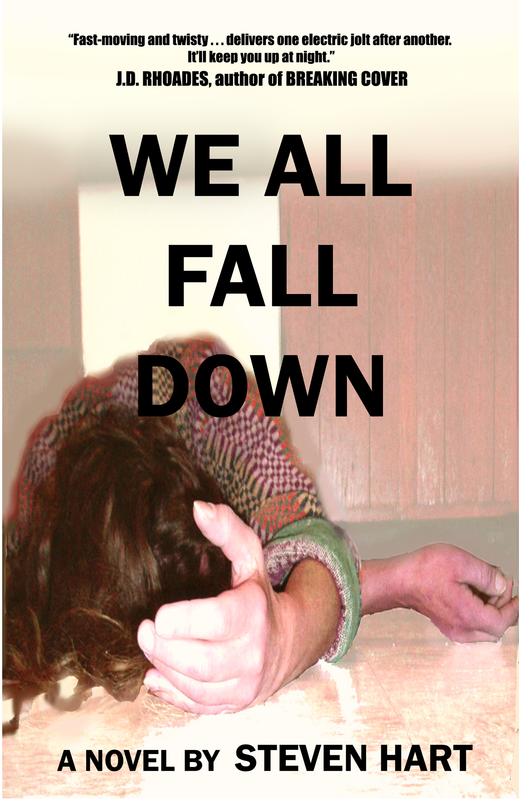 . .
Here’s that literary news I threatened you all with last week — my first novel, We All Fall Down, available right now through Amazon and Barnes & Noble, and in the near future via Kindle and a number of other e-book formats. Some of you may have read We All Fall Down here in its larval form a while ago, but now it is revised and even slightly expanded, just waiting to be unleashed on some unsuspecting beach this summer. It’s a crime novel, a police procedural, and a character study of a very tough, very vulnerable woman cop, all rolled into one. I like her, and if enough people find her interesting I’ll probably write the other two novels about her I have plotted out in my head. A small time crook breaks into the wrong house at exactly the wrong time and soon finds himself in more trouble than he ever dreamed possible. A young, tough female police officer on the trail of an alleged cop killer faces the dug-in corruption in her own department and her own demons, and it’s soon a breakneck race to see which one will take her down first. 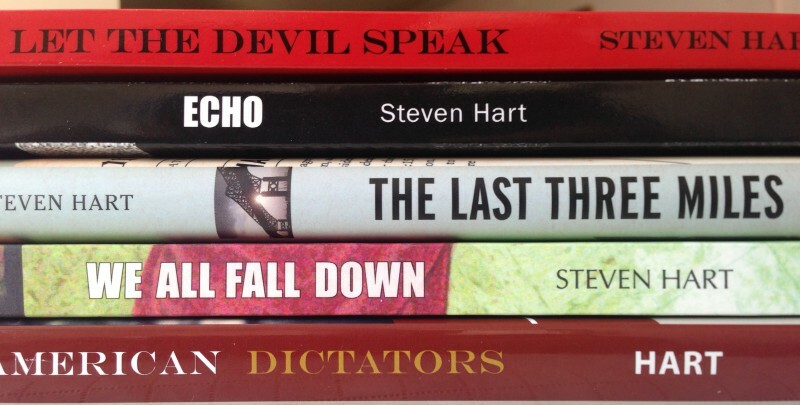 Fast-moving and twisty, Steven Hart’s We All Fall Down delivers one electric jolt after another. It’ll keep you up at night. Hart keeps the stakes high and the action fast right from the get-go in this hugely promising debut. The characters are complex and winning, the plot tight, and especially rewarding, the writing itself is excellent. Set aside some time — I predict you’ll want to read We All Fall Down in one sitting. Boo-yah! I hope to get a lot more reactions, but those two sure put a smile on my face. This morning I saw my first reader review, which calls the book “a first rate crime novel.” So my smile is now a little wider. If you order the book, please be sure to post your response on the Amazon and B&N pages. 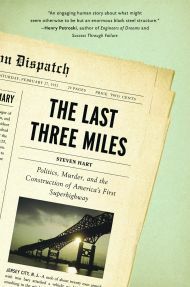 Here’s a link to the publisher’s web site, which features a couple of other must-reads. E-book editions will be coming along soon. Any year that sees the release of a new film and a new novel from John Sayles can safely be called a banner year. The film, Amigo, will be in theaters by August; the novel, A Moment in the Sun, is available now. This lengthy interview with Amy Goodman touches on many of the things I admire most about Sayles: his unfussy craftsmanship, his quietly determined and unapologetic leftism, his willingness to probe new avenues of experience in literature and film. In a summer when David Mamet has released a book that serves chiefly as a tombstone for a once vital talent, Sayles (only three years Mamet’s junior) shows himself to be as intellectually spry and engaging as he’s ever been. As a filmmaker, Sayles is a self-taught apprentice, and those first few movies were more admirable than enjoyable. 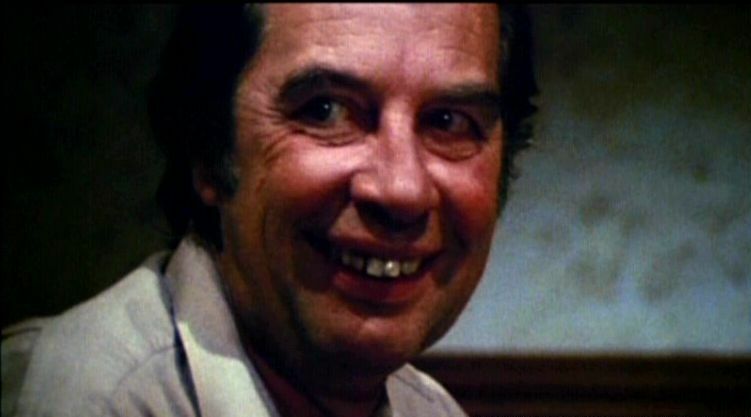 The Return of the Secaucus Seven, his 1980 debut as an independent director, is notable mainly as the original for Lawrence Kasdan’s slicked up The Big Chill. Lianna and Baby It’s You are more tyro work, and in an era when black filmmakers have finally broken through, The Brother From Another Planet is sometimes embarrassing to watch. The apprenticeship came to a decisive end in 1987 with Matewan, Sayles’ first great film, and one of the landmark movies of the decade. When Matewan came out I remember some reviewers complaining that the bad guys (“detectives,” aka strikebreakers and thugs, brought in to crush a 1920 coal-miners strike in West Virginia) were too evil to believe. Well, folks, they really were that scummy back then, and it doesn’t hurt to be reminded of it. Atlas Shrugged was still decades away, but the powers that be were very Galtian in their view of employees as lesser beings to be worked down to rags, wrung out and tossed away. With New Jersey’s own Gov. Windbag on a crusade against teachers and civil-service unions, and corporate shills like Amity Shlaes lying about how the New Deal needlessly shackled the invisible hand of the marketplace, Matewan is a tonic, and a reminder of just how bad things got before FDR rescued capitalism from itself. But the pleasures of Matewan go beyond its educational value. I can think of no other movie in which the sheer physical courage of ordinary people — not soldiers, not police, but rustics accustomed to getting the short end of the stick from life — confronting well-armed, well-financed evil is so thrilling to watch. The scene in which the young preacher Danny (Will Oldham) uses the Biblical parable of Potiphar’s wife to send a warning to the miners, right under the strikebreakers’ noses, is bravura filmmaking. And the slight dorkiness of Sheriff Sid Hatfield (David Strathairn) turns into pure Clint Eastwood badassery when the head strikebreaker (the wonderfully slithery Kevin Tighe) tries to back him into a corner. Matewan brought a new fluency and ease to Sayles’ film work, and pointed the way to other great ones: Eight Men Out, The Secret of Roan Inish, Lone Star. I liked Limbo well enough (even the ambiguous ending, which drove some people nuts) but Amigo promises to bring Sayles back to the epic style he discovered in Matewan. We hear about “big” summer movies that turn out to be shriveled, stunted exercises in marketing and computer effects. Sayles knows how to make movies with big brains and big hearts, and having him back on the scene is big news indeed. Got an interesting Facebook message the other day from a woman claiming to be my cousin. I wrote back to say this was an unexpected treat, and what part of the clan did she hail from? She then wrote back to apologize — she was in fact cousin to another Steven Hart, farewell and adieu, and have a good life. Oh well. Would’ve been nice to have had a cousin who lived on the Jersey shore. Probably she was using some of this family-searching software I see advertised here and there, or one of those online genealogical services that claim to trace your family back to the afternoon before the ink dried on the Magna Carta. I played around with them a few years ago, while I was researching The Last Three Miles, and I can’t say I was impressed. When you type in the family name HAGUE for Hudson County, New Jersey, and come up dry, I think it’s safe to conclude you are dealing with a pretty lame search engine. I am occasionally asked if I’m a descendant of the Hart who signed his name to the Declaration of Independence. If only. I wouldn’t expect any benefits beyond a spiffy beer mug with the family coat of arms, but you know. Verily, I say unto you: Are you so positive that we’ll have several more decades of the stability and prosperity required to digitize “everything” that you’ll bet centuries of accumulated knowledge on it? I fled grad school 13 years ago, but I’d love to be a budding medievalist now, when I can access online dictionaries for Latin, Old English, and Old Icelandic and browse the Monumenta Germaniae Historica without schlepping over to campus. I’m keenly aware of how much progress universities, government agencies, corporations, and museums have made in digitizing material that many dismiss as obscure. And yet, two years ago, at the National Park Service archive, I glimpsed just how far we have to go. Around 2,000 of the best photos in their historic image collection are online, but their physical archive holds millions of objects, including posters, newsletters, snapshots, and un-photographed doodads like vintage ranger uniforms. The entire collection was overseen by just two employees. When they weren’t scrambling to fulfilling never-ending requests from commercial publishers and calendar makers, they occasionally found a moment to scan some old slides. At this rate, unless a legislator takes up their cause, most of their collection will languish forever in file drawers. So if you’re a pundit, a historian, or a photo editor and you’re relying on digitized stuff to tell a story, you’re likely spinning the same yarn as everyone else. To tell a bigger story, to show or say something new, you’ll need to push away from the computer and patiently seek out an archive. Unfortunately, those archives are also compromised. I recognize the overwhelming need to store data in the most efficient way possible, and stacks of newspapers, magazines, documents, and books are not efficient. But every iteration of storage technology — microfilm, for example — requires institutions to make choices about what to store immediately and what to store later. Sometimes “later” never happens. Worse yet, even when it does happen, it can be bungled. I had my first flash of anger about this a few years ago, while I was researching my nonfiction book The Last Three Miles, which required me to spend so much time squinting at microfilm that I celebrated the book’s publication by getting bifocals. The problem was not so much the physical condition of the microfilm reels — the Jersey City and Newark public libraries had cared for them to the fullest extent possible — but the shockingly bad quality of the images themselves, the actual photographs of the newspaper pages. In a word, many of the pages were garbage: hopelessly blurry, or left partly in shadow because of shoddy framing, or whatever process was involved in photographing the pages. Whoever was responsible for transferring the Jersey Journal and the Hudson Dispatch onto microfilm should be posthumously disgraced for such lousy work. I was looking for daily accounts of life under America’s greatest political boss, Frank Hague, but there was plenty of other information about everything from social mores to fashion to political strife, all rendered invisible by incompetence or malfeasance. I don’t know how many other libraries collect newspapers from Hudson County; I suspect not all that many. So we can assume that information is gone for good. Generations of reporters and editors gathered it to pass on for us, but we have dropped the ball. My biggest beef with archival technology, even when it is done properly to render readable and useful results, is that it cuts down on opportunities for happy accidents. Paging through an actual newspaper, magazine, or book allows you to stumble across things you weren’t looking for, but will probably prove useful or illuminating. I was repeatedly appalled by the idle racism and sexism of newspaper headlines: references abounded to “pickaninnies” and “sambos,” even in tragic stories about deadly house fires — imagine how it must have felt to lose a son or daughter in a fire, then see the child casually slurred as something barely human by a white newspaper. One of the great pleasures of research is the happy accident, the tidbit of information that provides an unexpected insight or simply goes into the Well How About That file in the back of one’s brain, where eventually it may combine with other tidbits to form a new idea or illustrate another argument. Digital research allows for laser-beam focus, but that also narrows your perspective. To answer one of Jeff’s questions up top: No, I don’t think we’re going to enjoy the kind of stability that will allow full or even substantial digitization of the existing knowledge base. Here in New Jersey, our governor is on a jihad against public education; colleges and universities are seeing drastic cuts in funding; academic priorities and opportunities are shrinking all around us. The self-lobotomization Jeff warns about — call it digamnesia — is only going to accelerate. Much will still be preserved, but far more will be abandoned, and we will probably never know how much knowledge was lost along the way. And that’s probably the saddest thing about this situation. It’s easy to laugh, as James Wolcott does here, at the lost souls looking for a new home on the Upper East Side now that Elaine’s has closed. But even though I never set so much as a toe in the place (enduring the woes of the trendies in Woody Allen’s Manhattan was as close as I wanted to get) I sympathize with the man’s quest to find a new neighborhood bar. My town — the sleepy burg of Highland Park, N.J. — has had nothing even resembling a neighborhood joint in decades — the closest it came, Charlie Brown’s, closed down several months ago. Even CB’s was, at best, only adequate, since the bar area was lined with more television screens than a Best Buy showroom, all set at volume levels that made it impossible to hold a conversation unless you literally shouted in your companion’s face. A new restaurant is moving into the CB space, but apparently without a liquor license, so too bad about that. Unless I want to march across the river to the Court Tavern, or hoof it up to a couple of Taprooms of the Damned near the Edison DMZ, I’m out of luck when I simply want to grab a quick nightcap. I wouldn’t mind converting the bookstore into a literary liquor joint. I could establish a purdah parlor in the back for patrons who wanted to grunt and howl at a large TV screen, while reserving the front room for people whose skill sets enable them to drink and carry on conversations at the same time. One of the middle rooms would serve as the bar area.I’ve always liked the look of the village pub in Local Hero, and I’d use that as my model. Unfortunately, the expense of refitting the building would be pretty high, and zoning regulations would be a problem no matter how many bribes and/or assassinations I arranged. Guess I’ll just have to settle for tipping a little Baileys into one of the coffee mugs every now and then. Strictly for literary medicinal purposes, you understand. This is the song that most says “summer” to me. This cover version from Anthrax sounds pretty good. I’d guess they modeled it on the performance in The Living End, the Huskers’ valedictory concert album. This version from Mark Kozelek stands alongside the Cowboy Junkies’ “Sweet Jane” on the shelf of great counterintuitive covers. At least he realized there was no upside in trying to outblast the Huskers. Can’t find anything worth reading on your Kindle? I feel your pain, friend. Fortunately, Your Resident Blogging Writer and his Indefatigable Publisher have come up with the answer to your problem. Shucks, if I were you I’d just go and download the book right this second. Or check out the audiobook version, given a wonderful, subtly witty reading by Dion Graham. The New York Times has a new columnist who’s actually stylish, independent-minded, and fun to read. Get him while you can.